Opened in 1988. Newly renovated in 2017.
Business center, room service, laundry service, wake up service, concierge service, safe-deposit boxes, parking, car rental services. 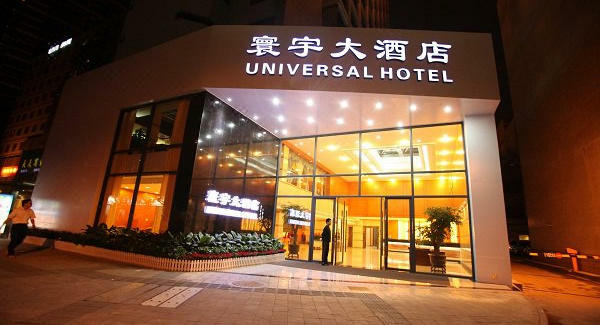 The Shenzhen Universal Hotel (Shenzhen Huanyu Dajiudian) enjoys close proximity to exit B of Grand Theater Metro Station, CITIC Plaza and Dongmen old street, while Luohu Port is about a five-minute drive away and the Shenzhen Convention and Exhibition Center can be reached with within a 15-minute drive. Diners can head to the on-site Chinese restaurant which offers a taste of China’s extensive culinary tradition, or relax in the coffee shop with a snack and beverage. 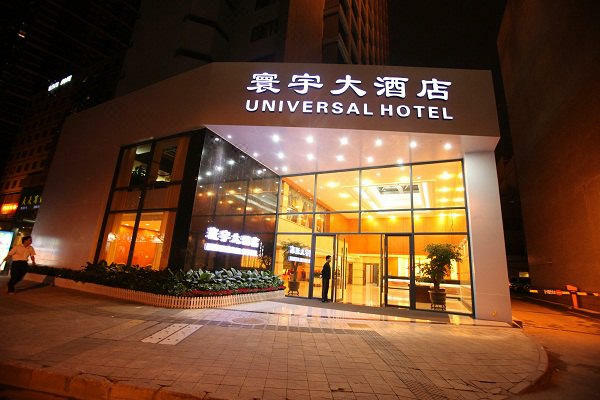 Well placed to facilitate the needs of those in the city on business, the hotel has a business center and numerous meeting rooms. Guests can enjoy a game of tennis before heading for some evening entertainment at the ballroom or one of the hotel’s private karaoke rooms. - 5km to expo center.